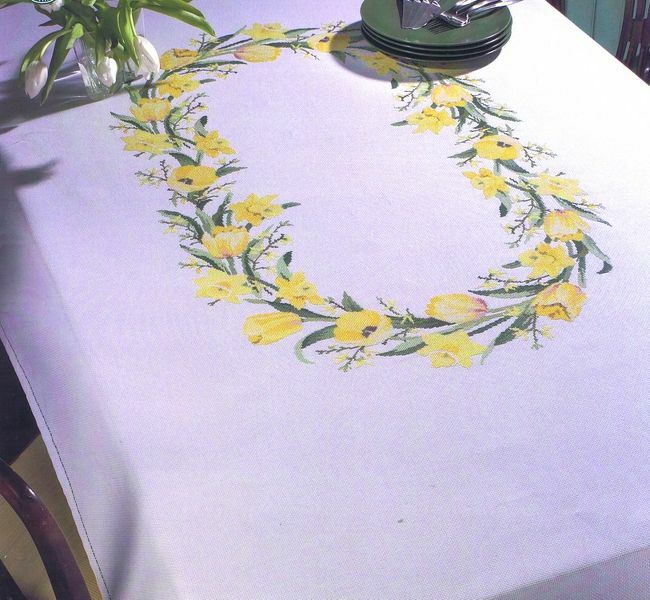 A breath of springtime - yellow daffodils, tulips and sprays of forsythia in an oval centre to this large table cover. The kit has large scale black and white charts printed 10 stitches to one inch on six A3 sheets charting one half of the complete design. 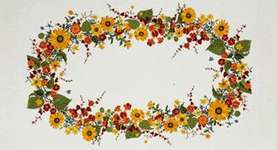 An A4 chart shows a single flower with border for use on napkins. The pattern is worked completely in whole cross stitch using 18 shades of stranded cottons in three strands. The main design stitch count is 280 by 470. The tulip motif is 63 by 50.